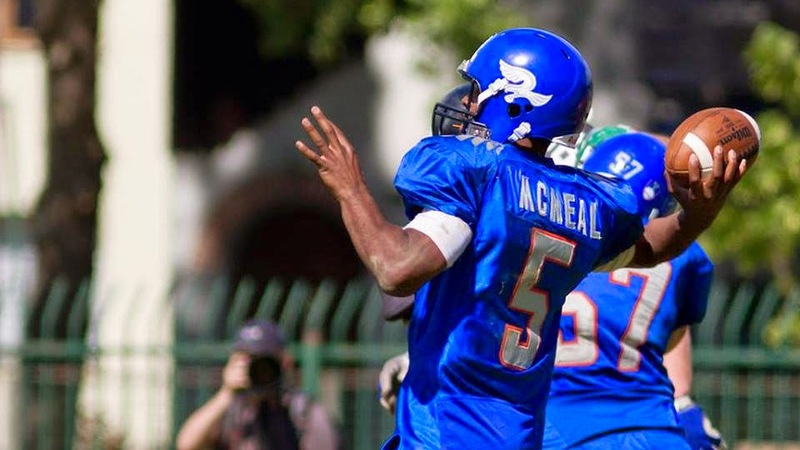 Before the most important game of the season for Ljubljana Silverhawks against the Kragujevac Wild Boars, we had a word with Silverhawks quarterback, Kenric McNeal – former Texas A&M receiver. McNeal adapted well to the European lifestyle in the past one month and a half of his stay in Slovenia - "What I enjoy most of all here is the change of culture. It’s amazing to me how nice people are here even being total strangers. Also, I’ve learned to appreciate the city centre of Ljubljana. Coming from a huge city like Houston, I’m not use to having a neutral area where everyone goes to enjoy themselves on the daily basis." You have been playing on top level in the NCAA D-I competitions. Can you elaborate on the differences and similarities between American college football and American football in Europe? McNeal: When comparing D-I football to European football I notice a few differences, and many similarities. No matter what country you are in, football is a physical sport. Other similarities I notice here is thepassion, commitment and the strong bond I share with my teammates. Mainly the differences between the two levels include: speed, size, and mental toughness, which is very understandable because American football is not a main sport here, and is still in the growing stages. You played your first game for the Silverhawks against Wild Boars. Can you go back and tell us, how did it feel playing at QB after a while? McNeal: My first game at Quarterback instantly reminded me how much fun it is playing football. Transitioning from wide receiver to quarterback was a great change, but nothing I haven’t done before. How strong do you feel that Silverhawks will win the Wild Boars and qualify for the CEFL finals? McNeal: I believe with everything in my heart we have a great chance at beating the wild boars Sunday. They have a great squad with many weapons, but so do we. I honestly believe we haven’t scratched the surface of our full potential, and we have practiced with that in mind leading up to this game. If we play at our best, nobody in the CEFL can beat us.